Eighth seed Petra Kvitova put an end to Serena Williams' Cincinnati campaign in a hard-fought, hard-hitting second round clash under the lights. 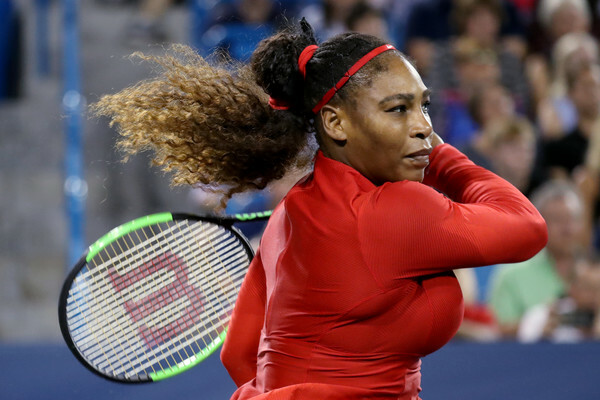 In a late-night battle of Wimbledon champions at the Western and Southern Open, eighth seed Petra Kvitova outlasted crowd favourite Serena Williams in a back-and-forth three-setter to advance to the round of sixteen in Cincinnati. Considering it was a battle of two of the tour’s best servers, it was the return that came to dominate the match. Both women applied pressure in the other’s service games, but in the end, it was Kvitova who held it together just a bit better, hanging on for a 6-3, 2-6, 6-3 victory. Right from the start, Williams was struggling to get into her own service games, falling behind love-30 in her first three. She would battle back to hold in the first without too much trouble, but after fighting back to 30-all in the second, double-faulted to go down 30-40. Kvitova appeared to earn the break with a massive return, but Williams challenged and Hawkeye showed the ball was long. The American would hold. After falling behind love-30 in a third straight game, Williams sent a forehand wide to go down 15-40. She would save the first with a big backhand but sent a forehand long to surrender the break. Williams would have a couple of half-chances to get the break back, getting to 30-all in Kvitova’s next two service games but was unable to create any break points. In her fourth service game, the American finally avoided going down love-30, holding to 15. However, her serving woes were not over as she went down 30-40 serving to stay in the set at 3-5. Kvitova would seize the opportunity and broke to claim the opening set. Williams wasted no time in setting a different tone at the start of the second set. At 1-all on Kvitova’s serve, the American piled on the pressure and was rewarded with a break point at 40-AD. She failed to get her return in play on the first, as she did again on the next two which were both saved with aces. A fourth break point would come and go before a huge return gave Williams a fifth chance. This time, Kvitova sent a backhand into the net to surrender the break. The Czech nearly took it right back as a deep return at 30-all in the next game gave her a break point. Williams would save it with a big serve. Kvitova would have two 40-AD openings in the game but sent a forehand into the net on the first and a return long on the second. Williams would hold to take a 3-1 lead. At 4-2 on Kvitova’s serve, Williams won a titanic rally at 30-all, finishing with a volley winner to set up a break point. As she often does, Kvitova used her leftiness to try and slice a serve out wide to the Williams backhand, but the American was ready, ripping an insanely-tight crosscourt backhand return crosscourt for a winner to take a double break. She served out the set in the following game. 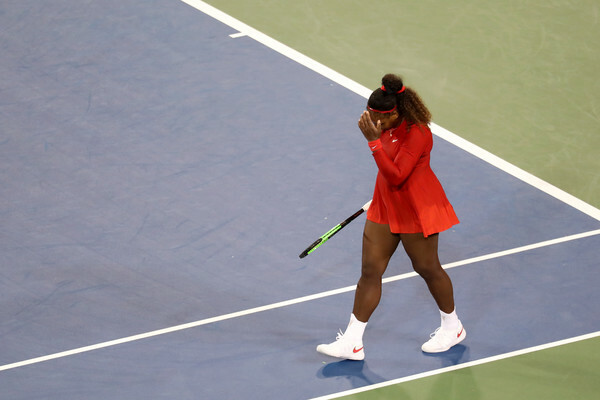 It looked as though Williams would run through the decider as she reached deuce on Kvitova’s serve in the opening game of the final set and reached break point when the Czech netted a backhand. Kvitova then sent a forehand drive into the net to go down an immediate break. Undeterred, the eighth seed struck right back, using some massive hitting to set up a break point at 30-40 in the next game and drew an error to level at 1-1. Williams avoided losing a third straight game when she won four straight points on her own serve from love-30 down in the next game. But the American’s service level was starting to slip and she found herself in trouble again in her next service game. At deuce, she netted a backhand to go down break point, but Kvitova netted her return. Williams then sent a forehand wide for a second break point and this time fired a forehand long to give up the break. The American continued to press, but Kvitova was not budging. Bolstered by a highly energetic crowd, Williams would fight right to the end, reaching 30-all as Kvitova served for the match at 5-3. The American sent the crowd into a frenzy by saving the first match point with a forehand winner but missed back-to-back returns from deuce to end her Cincinnati campaign. Williams’ big hitting was a mixed bag, as she had 27 winners to her opponent’s 24, but also committed 36 unforced errors while Kvitova only had 22. The two had very similar service numbers in all categories except second serve points won. Kvitova defended 66 percent of those points, while Williams only managed 44 percent. Williams saved six of the ten break points she faced, while Kvitova saved four of seven. Kvitova will meet Kristina Mladenovic in the third round.